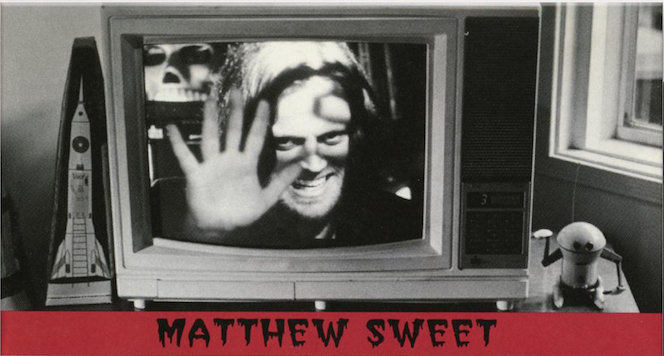 For over three decades, Matthew Sweet has been one of the most consistent and compelling voices in American songwriting. Matthew was also one of the first major artists to endorse modern Epiphones. Though every biography inevitably hits upon his 1991 LP Girlfriend as a career highlight (which remains as perfect a pop album as can be made), his devoted fans probably see Girlfriend not as a loadstone but as a vital point in a much longer arc that continues to defy category. Sweet’s series of cover albums with Susanna Hoffs of the Bangles, Under The Covers, shows that his feeling for classic sounds does not begin and end with the 1960s. (One could argue Let’s Active, Aztec Camera, and Sweet himself have made pop records every bit as beautiful as those made by The Zombies or Love.) But like his English contemporary Robyn Hitchcock, Sweet’s deep understanding for his favorite music never stands in the way of making modern albums, which continue to dazzle his fans. In his first interview with Epiphone, Sweet talks about moving back to his home state of Nebraska, what it’s like to be followed by a biographer, and the new work he’s preparing for later this year. Thanks for speaking with Epiphone.com, Matthew. 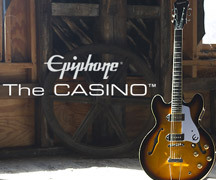 Do you still have your Epiphone Casinos? I do, I do! I still play the two Inspired by John Lennon models. Those are great guitars. You recently moved back to Omaha, Nebraska where you grew up. How has the move inspired your work? I think just making a move was helpful. My wife and I lived in Los Angeles for 20 years and we wanted to sell our house and we didn’t know where to go. We considered Hawaii or northern California. But all of these places were sort of difficult as far as touring and or ever seeing our family. We wouldn’t know anyone. So, we just ended up in Omaha with a place we really like. And it’s really great—it’s very central for touring. But to be back here…you know I really left when I got out of high school and I was only back briefly after that. So, it’s really connected me back to the time when I first started playing music. I’m remembering more. It’s been cool rediscovering it. Beyond that, just the nature of where I am and the way the seasons change here is inspiring. There are extreme seasons here. It’s beautiful in the fall and spring. We didn’t have seasons in Los Angeles. There’s a thing about light and the changing of the seasons in Omaha that’s pretty cool. I do get the blues in the winter time when there’s not as much light. I think in general there’s much more light in Los Angeles than in Omaha. But I really like the seasons. It was one of my first favorite things that I remembered, we always had snow in the winter. There are some pretty shocking peaks and valleys. We were down to 10 degrees below this winter. And in the summer, we’ve had a really hot days. I know most people experience that. But in Los Angeles, it’s kind of like sunny and nice all the time. Even when it rains, things get kind of hectic and driving is dangerous because nobody is used to it. It’s been a really busy time for me music wise. 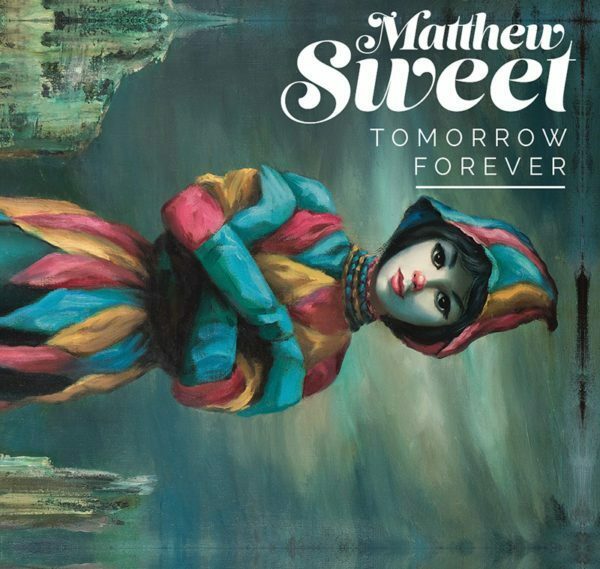 I put out an album called Tomorrow Forever that was from a Kickstarter effort. And that came out the summer of 2017. And then I put out a record called Tomorrow’s Daughter (2018) which was a bunch more stuff from the sessions from Tomorrow Forever. Then I had a vinyl-only Record Store Day release in the fall, Wicked System of Things, and that was just something I did before Tomorrow Forever came out. I didn’t want to make it a big campaign but I sort of didn’t want it to get lost so it came out as a Record Store Day release. And at the same time, a company called Intervention Records has been doing reissues on vinyl of Girlfriend and Altered Beast (1993) and 100% Fun (1995) so there’s been a lot of stuff to be out promoting. I’ve always, over the years continued touring, too. You’ve been independent for a number of years. Do you feel that getting away from a formal label situation has been good for you creatively? It has. You know, when I was having my biggest success in the 90s, there was a little bit of a thing where you felt this pressure from the label, often about weird things. Maybe they didn’t like the title (laughs) or there was sort of a somewhat unspoken pressure to come up with things they wanted for the radio. Nowadays, I don’t think about any of those things and it does make the whole endeavor a little bit more pleasant. However, I have to say, I was never one of those artists that hated their label. The labels I was on were always made of people who just wanted to help me. So, I really appreciated what everybody did and we still kind of get together to help out with my records. I always have help. I have a publicist that I hire, for instance. So, I can’t really make a good go of it without some help. And especially back in the old days when it was all about radio. It’s just hard to fathom how we did it with no internet (laughs). But I know it was just another sort of ballgame then. Now the people that care about it find me or I find them and it’s more of a miniature cottage industry. It does. I just approach my albums like I was any other kind of artist. I just kind of try to be open in my imagination and just let things come. I never really could do it another way. Even back in the day, I just couldn’t write songs to be a certain way. For me, it’s like they pop out and they are the way they are. That was why I felt weird about things like singles and trying to get on radio back in the old days. Because I had to just hope (laughs) something I did fit with what they wanted. It just wasn’t the way I wrote songs. Now that you have a catalog that stretches back many decades, is there anything that stands out to you about your early work compared to the albums you’re making today? The biggest problem with this question is I tend to not go back and listen to my old music and get perspective on it. I’m always thinking about the future. When I finish a record, my time with it is sort of done. I’ve never really gone through and been critical towards my records. However, I’ve gone there a lot lately just through interviews and speaking with other people. How do they connect? To me, it’s all me. I write songs in this way where they are very personal and that never goes away. I think in one sense; everything is just connected because I have never really changed the way I do things. I’ve never really invented myself in some new style. To me, it’s like they are all my songs and other people can decide which ones they like the best. I do know that the recent stuff has been really well received because I’ve been out touring for it. Everything has been really positive. Are you going back in the studio this year? I think I’m going to make a new album for this year so yes, I’ll be recording. I know I’m going to do a bunch of touring in the summer. There’s a guy who’s going to write a book about me and is going to come out and spend a few days doing long interviews (laughs) so that’s kind of exciting and scary. The writer is Craig Dorfman. I met him through a Kickstarter campaign we did where I was making Skype calls. It was the thing I dreaded the most and I took the longest in coming through with them. I met him in the course of these calls. He wrote a book, Brighter Day, A Jellyfish Story, about the band Jellyfish band from San Francisco that put out a couple of albums. He sent me his book and it was really well written. He seems really serious about this—he plans to take a couple of years and he really intends to interview huge numbers of people. I won’t be shut out of the process. That’s hovering over my year a bit. Other than that, I love touring and writing and recording. What are you listening to when you’re not working on your own music? You know, when I do music is when I listen to other music the least. I know that sounds weird. This has been a period of me not listening to other music so much. Nothing pops to mind. I love all the groups from the 60s that I’ve always loved. But I don’t listen to them all the time. The Beatles are still, to me, just killer. 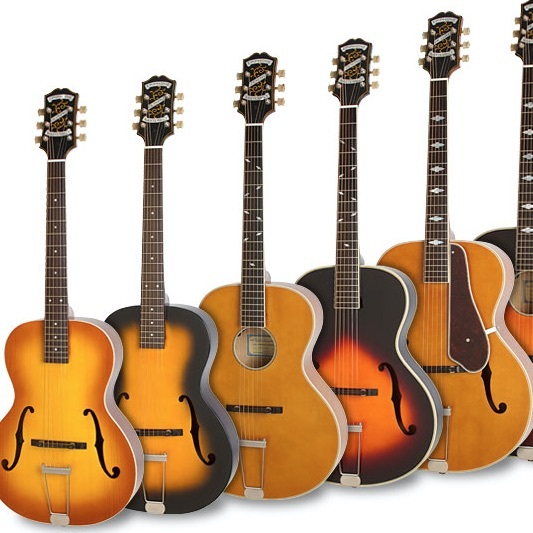 And speaking of Epiphone. It was the coolest thing when I got to promote the Casino. I even did a print ad! I was very proud. When I knew we were going to do this interview I just kept going over in my head the worst thing that ever happened. I was given an Epiphone Riviera 12-string around 2000. I went on a tour to Spain. And I really loved this 12-string. It really worked great for live work. I was flying back from this tour and the airlines broke the headstock and it was never the same. It was totaled. If you have one of those, I’d love to get one again. I’ll put it to work.